Cramming, sleep and devices: what factors affect learning? What do we actually know works best when it comes to improving student performance? Technology: friend or foe for learning? With the rise of digital alternatives, the use of paper textbooks has all but disappeared. So, is reading electronically different to reading print? Some experiments have found no difference in comprehension. But in one study, when reading time was self-regulated rather than fixed, participants performed better after reading print. A 2013 US study of university students also found that reading on paper was less likely to encourage multitasking, and that has already been established as a clear advantage when it comes to learning. But digital technology has also revolutionised education in positive ways. The internet has brought free access to virtually unlimited troves of information. With the rise of video tutorials and free massive online open courses (MOOCs), education barriers are lower than ever. Multimedia in the form of images, videos and audio resources enrich and reinforce learning. They make experiences such as a virtual tour of China’s Great Wall or a video of Martin Luther King’s I Have a Dream speech just a few keyboard strokes away. Interactive game-based learning programs have been found to be effective for teaching. “The gaming approach was both more effective in promoting students’ knowledge of computer memory concepts and more motivational than the non-gaming approach,” wrote the author of one University of Thessaly study of high-school computer science students. Assistive technologies have also improved education for students with learning disorders or sensory impairments such as deafness or blindness. Many visual and audio aids, such as speech recognition and text-to-speech software, now exist to help students with specific impairments. The bottom line is that technology in the classroom is here to stay, and when distractions are minimised, it can improve and enrich learning. A large body of evidence now shows that the blue light emitted by smartphones, tablets and computers suppresses melatonin production, meaning that using these devices at night can interfere with the body’s natural sleep cycles. Sleep is known to be important for learning – it’s crucial for consolidating long-term memories. Missing out on sleep can also impair attention and short-term memory. The teenage brain is particularly sensitive to the effects of blue light. That’s why experts now recommend that teenagers should avoid late-night use of devices that emit blue light if they want to get enough sleep. Overstretched students often rely on the time-saving strategy of cramming for exams, but the science says this study technique is highly flawed. Many experiments have shown that ‘spacing’, which involves spreading study sessions apart, leads to far superior results when it comes to long-term retention. In fact, one 2009 study found that spaced learning was more effective than cramming for 90 per cent of participants. Memories fluctuate according to changes in the strength of connections – synapses – between neurons. These can be made stronger or weaker depending on when and how often they are activated, meaning that a memory can be reinforced or forgotten. The more these synapses are activated, the more likely the information will be retained, which explains why revision of previously studied material is preferable to learning it for the first time en masse before an exam. Last-minute cramming usually goes hand-in-hand with stress and a lack of sleep, both of which can hinder learning retention. Sleep is thought to be involved in creating long-term memories by consolidation; deprivation leads to decreased activity in the hippocampus and poorer recall of ‘declarative’ memories, which are about facts and events. In a study of high-school students, UCLA researchers found that sacrificing sleep for extra study time was counterproductive and resulted in increased academic problems the following day. You’re more likely to remember something you’ve learned if you have an emotional attachment to it. This happens because the amygdala boosts memory by enhancing attention and perception. It can also help memory retention by triggering the release of stress hormones. 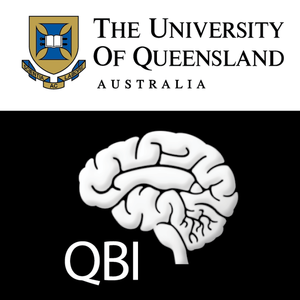 QBI researchers have discovered that bad experiences automatically enhance memory formation about places and may serve as a cue to avoiding potential threats. Conversely, too much stress can overwhelm, cause anxiety and impair memory – but research has found that the right amount can optimise alertness and cognitive performance. Surprisingly, even confusion can be beneficial to learning. Research has shown that being confused about new ideas or a situation can spur us to work harder to understand, leading to a deeper grasp and better retention of what we have learned. This piece is reproduced with permission from the Queensland Brain Institute at The University of Queensland's Learning and Memory magazine, now available for free download at qbi.uq.edu.au/learning. Children need diverse books and here's why.